Inter Bios sandals are synonymous with quality, naturalness and comfort, this is one of the models every summer star, because the natural thing is to feel comfortable, enjoy the summer with your Sandals Inter Bios of anatomical plant. Attention! the design of this model is a little short by what we recommend one size more than usual. By buying this product you can collect up to 300 loyalty points. Your cart will total 300 points that can be converted into a voucher of 2,40 €. Sandals with plant bio-anatomical are one of the most popular models every summer, because when you discover your comfort and the lightness of their soles you won't get another sandal. For this flat Sandals of Inter Bios brand have nine colors available for your perusal that best define your looks this summer. -Texan, a hue very easy to match that it brings a touch of denim to any summer looks with maximum comfort at our feet. -Yellow, one of the colors of fashion this summer, this season can not miss in your dressing room a sandal in yellow color. -Orange or tile, as natural as surprising, a tone that happy view. -Lila, daring and suggestive, seems difficult to combine but it will surprise you. -Salmon, very soft and velvety, a feminine color that can not miss you. -Black, color that increasingly ask us our customers on all Sandals Inter Bios, now available in one of the essential models of the brand. -White, wild-card season, essential to match any look. -Red, also in oiled leather, which gives a nicer shade of aged appearance is the more used. -Brown, oiled leather is without a doubt the more classic and timeless color. The exterior of the sandal is made entirely in authentic beef skin, with the finished classic of the napa, very soft and durable at the same time. They lack backing, to better appreciate the quality of the skin and encourage the natural perspiration of the foot. The plant is bio-anatomical lined soft leather, spiked in latex and Cork, 100% natural materials. They have a piece on the heel, the same skin the exterior with the engraved logo. The floor is micro porous color nicotine, very light and at the same time extremely durable. You have a drawing with intertwined forms which guarantees an optimum grip. The upper Strip has a buckle to be able to adapt to our foot width. 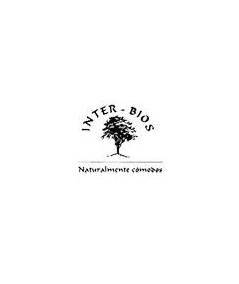 Designed and manufactured in Spain by the Inter Bios brand. Naturalness and comfort merge, to give as a result a sandal cheerful and carefree, with different types of leather and finishes for the dynamic woman and that rate in comfort and convenience. Enjoy the summer with your new Sandals Inter Bios! Section flat sandals CalzadosRosi.com catalog is one of the most relevant. Sandals are the footwear of choice for use throughout the summer, so we bet strong and every season we present a wide selection of sandals without heels to enjoy the summer wearing your favorite flat sandals.